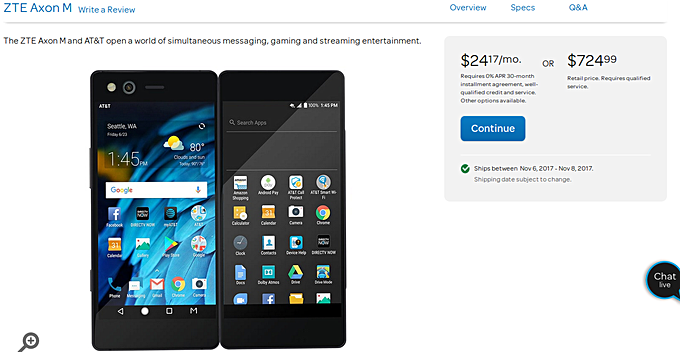 Update: As scheduled, you can now place orders for the $725 device on AT&T's website. Shipments begin next week onwards - November 6 to be specific. 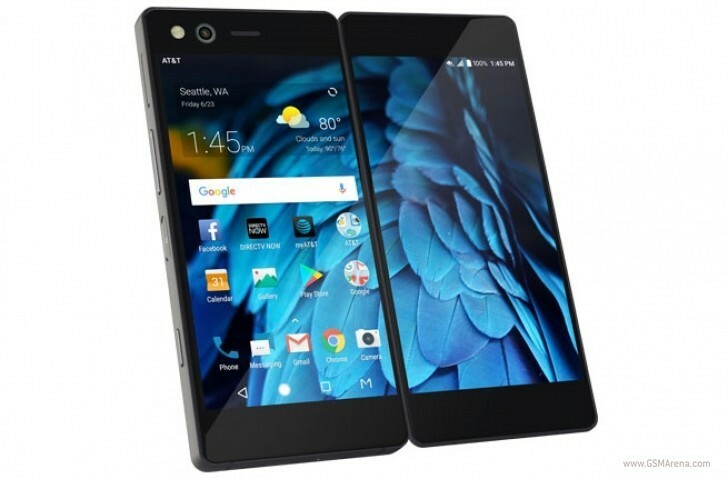 ZTE announced the foldable Axon M smartphone with two screens earlier this month. Back then we did find out that it would be exclusive to AT&T in the United States, as well as how much it would cost. The one piece of the puzzle that has been missing until today - when you'll be able to grab one. Thankfully, AT&T has decided to clear the air on that one. The carrier has revealed that it will start taking online orders for the ZTE Axon M on November 1, which is this Wednesday. The device will then become available in stores on November 17, "just in time for the holidays". The Axon M is priced at $725 outright, or 30 monthly installments of $24.17 if you choose to use the AT&T Next payment scheme. The phone comes with two 5.2" 1080p LCD touchscreens that, when the Axon M is unfolded, create a 6.75" viewing surface. It's powered by the Snapdragon 821 chipset, and has 4GB of RAM, 64GB of storage, and one 20 MP camera. The device runs Android 7.1.2 Nougat and is kept on by a 3,180 mAh battery. I've still got my Streak 5....it STILL works too! This will be a pretty cool phone but it's late to market with older SoC and will undoubtedly drop in price. When it drops, I may jump on one. is that old model of Japanese phone NEC Medias dual-screen?